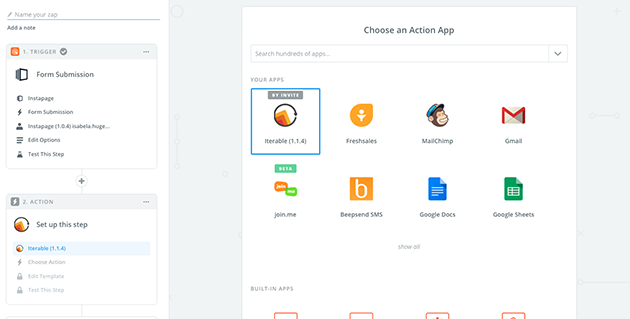 Instapage and Iterable enable you to easily unify your acquisition and activation strategies. 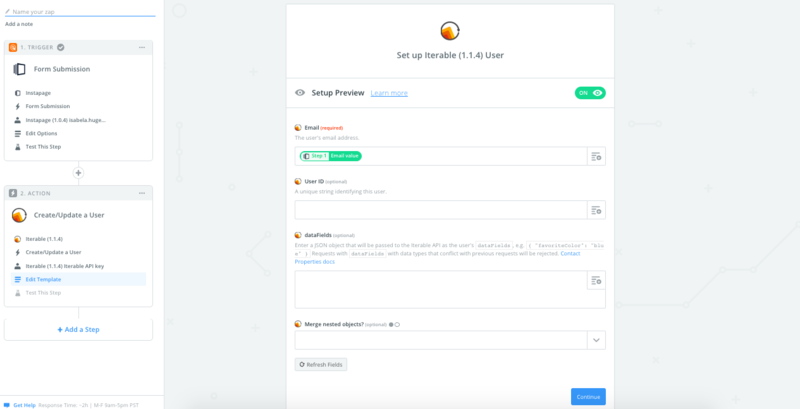 Iterable clients can now use Instapage to capture and pass email addresses to Iterable where you can automatically trigger lifecycle messaging workflows, create dynamic user segments, and create and update user profiles. 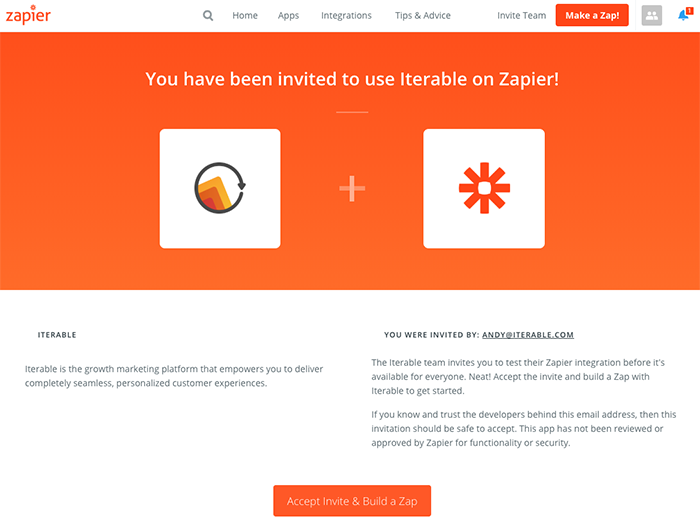 Now that you have access to the beta Iterable integration, please follow steps 1 through 10 of the Integrating with Zapier article. Once you get to step 11, it's time to set up the action. Click on Add a Step and select Action from the menu. Select Iterable from the list of apps. Choose the Create/Update a User option then click Save + Continue. 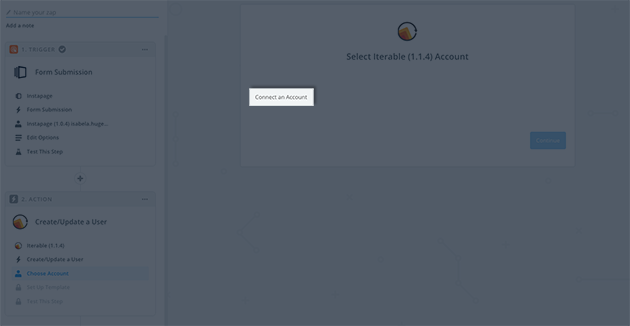 Now you will need to connect Instapage with your Iterable account. 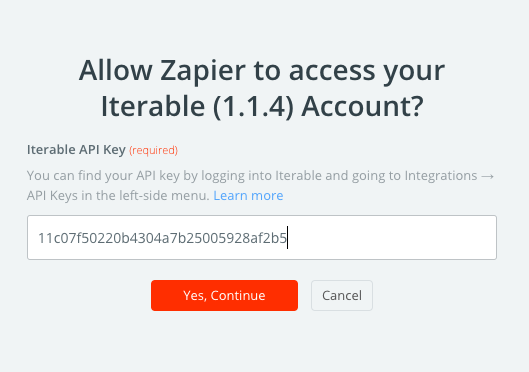 In Iterable, navigate to Integrations > API Keys and generate a new API key to use for this Zap. Choose Standard for the type and click Create. Select your account and click Save + Continue. 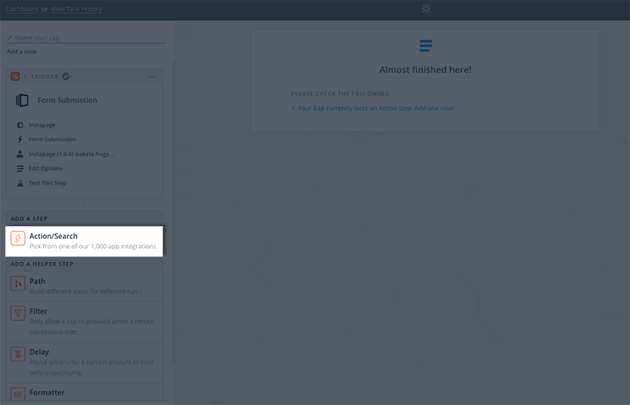 Map your Iterable fields to your Instapage fields and click Continue. 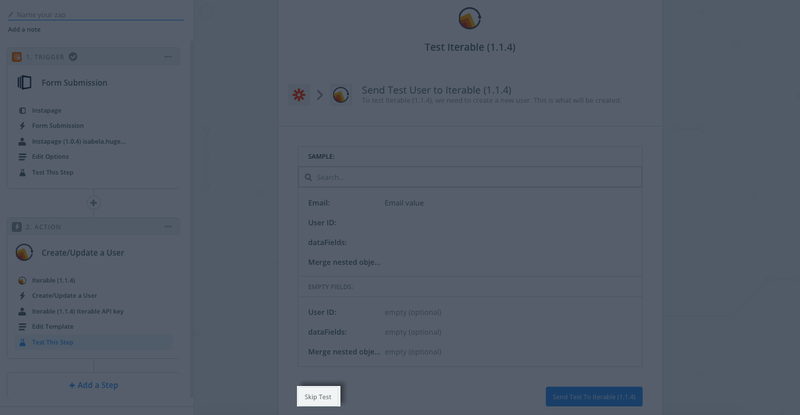 When you see this screen next, just skip the test, as it will return an error caused by the value of the email field. Don't worry, the integration will work once the Zap is active. 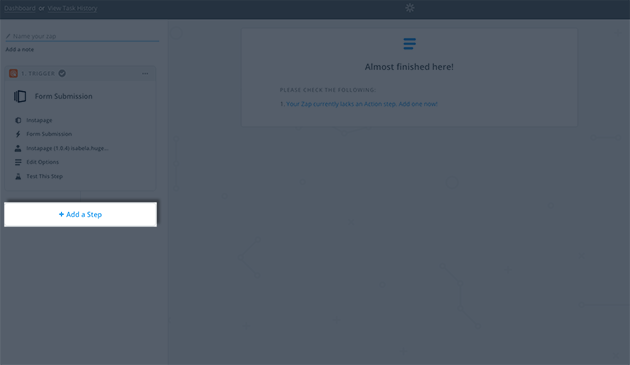 Don't forget to turn your Zap on after you're finished in order to start receiving Instapage leads generated by your landing page as users in Interable.